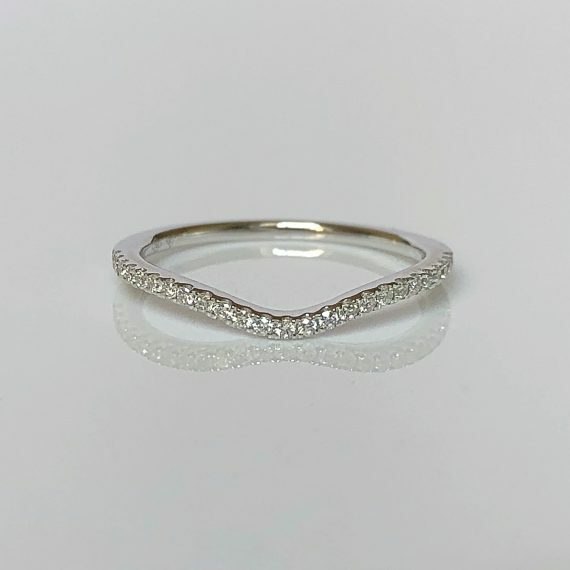 A fabulous half eternity ring which is set with shimmering round brilliant cut diamonds in a highly secure channel setting – total carat weight 1.00ct. This splendid ring is set in luxurious 18 carat white gold, with simple shoulders which merge into the setting. Ring is available in all finger sizes, all precious metals and carat weights.